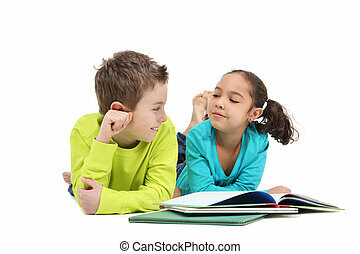 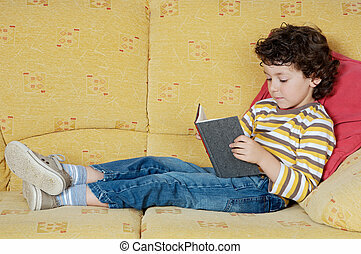 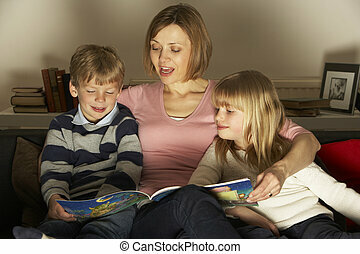 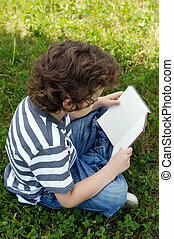 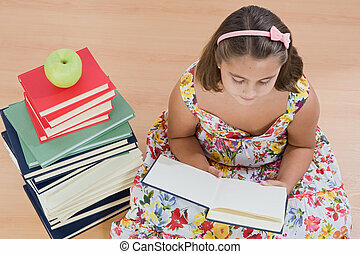 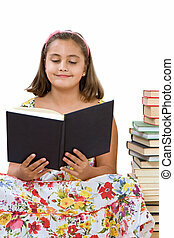 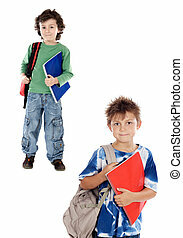 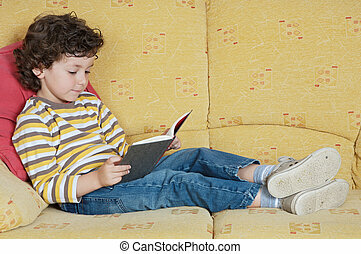 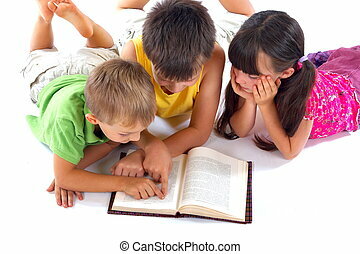 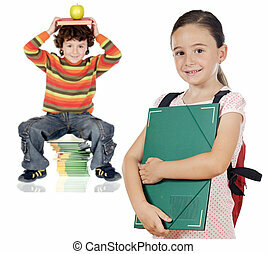 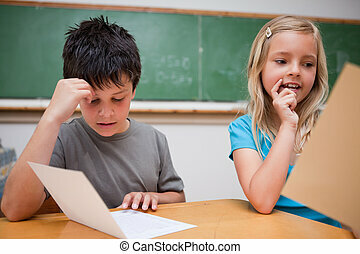 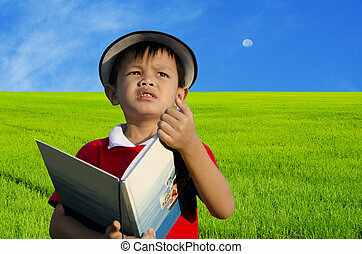 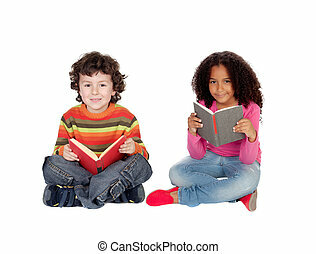 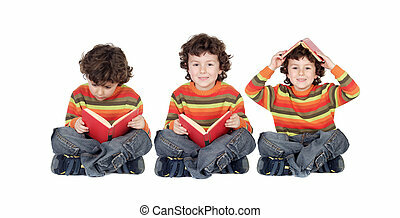 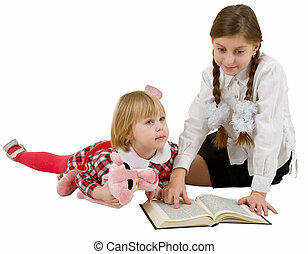 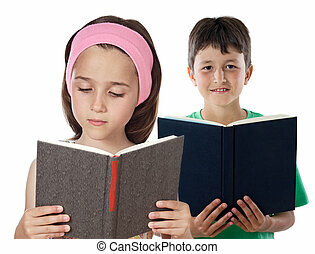 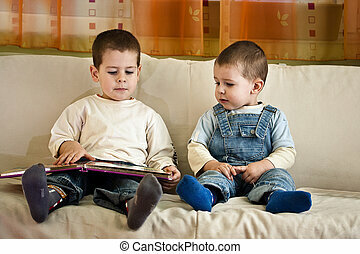 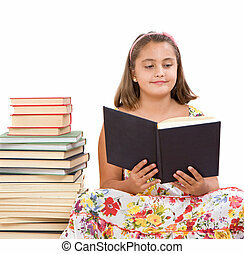 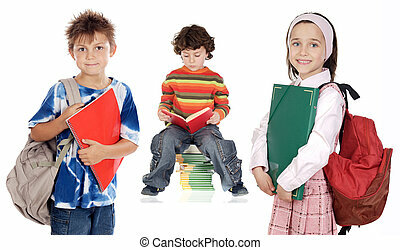 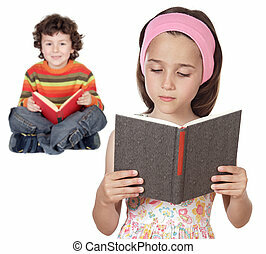 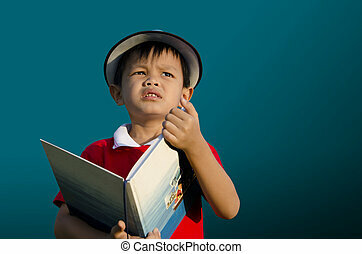 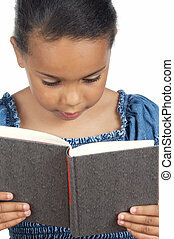 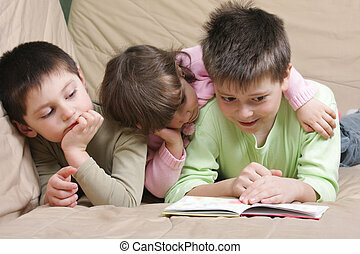 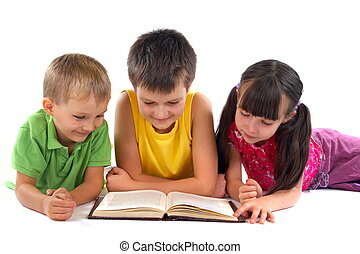 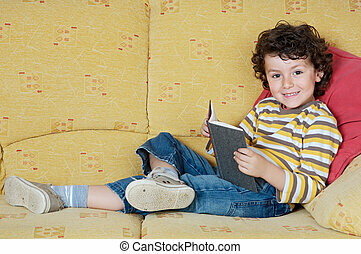 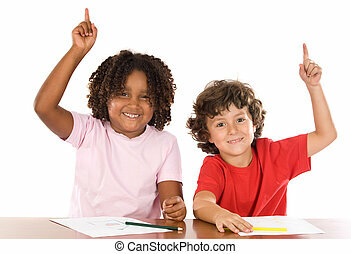 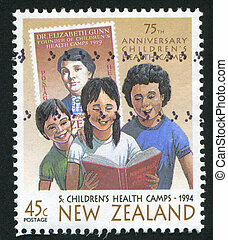 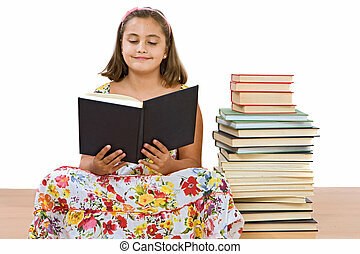 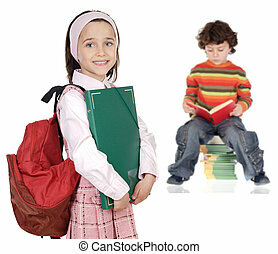 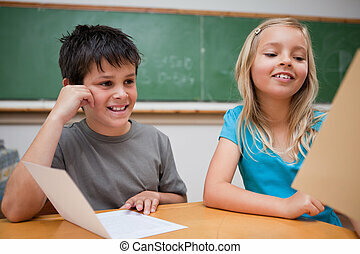 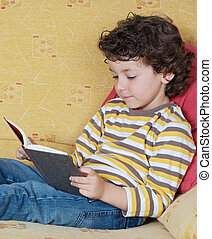 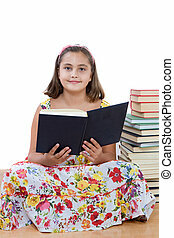 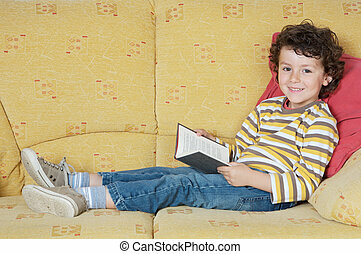 Children reading a book a over white background. 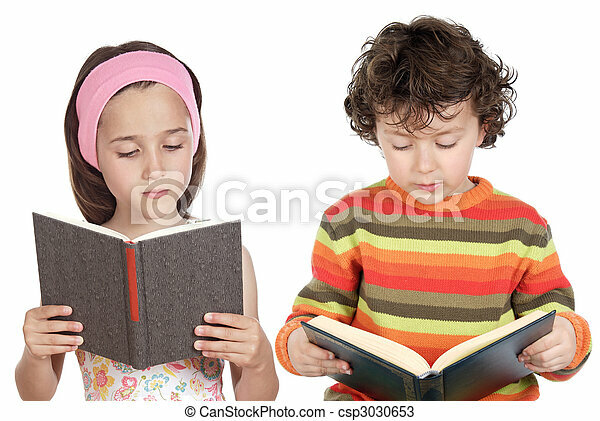 Children reading a book with a dark background. 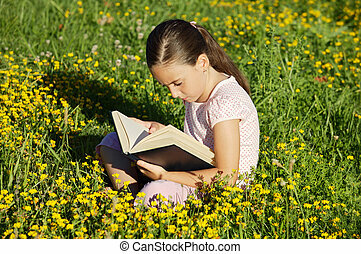 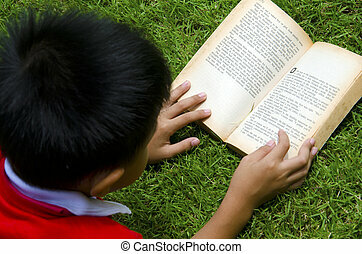 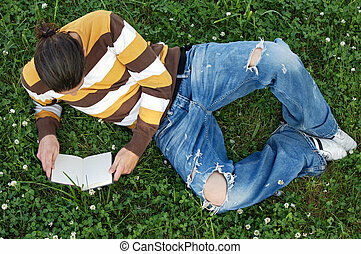 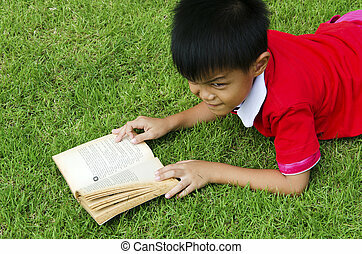 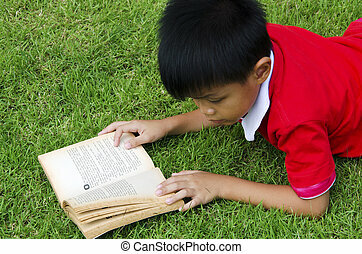 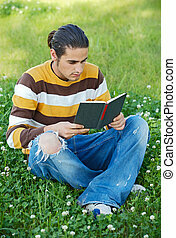 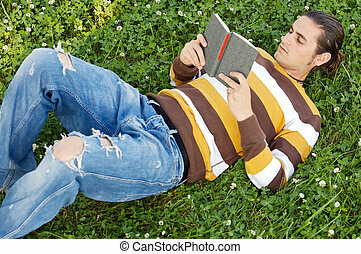 Children reading at a lawn as a backdrop. 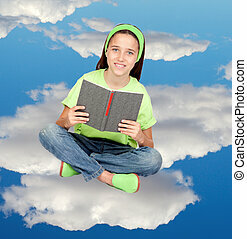 Children reading a book with the sky as a backdrop.